I am extremely fortunate to spend much of my time flying in a small aircraft over the water looking for whales. Most of these surveys are the North Atlantic Right Whale Sighting Survey (NARWSS) conducted by the Protected Species Branch of the Northeast Fisheries Science Center in Woods, Massachusetts. 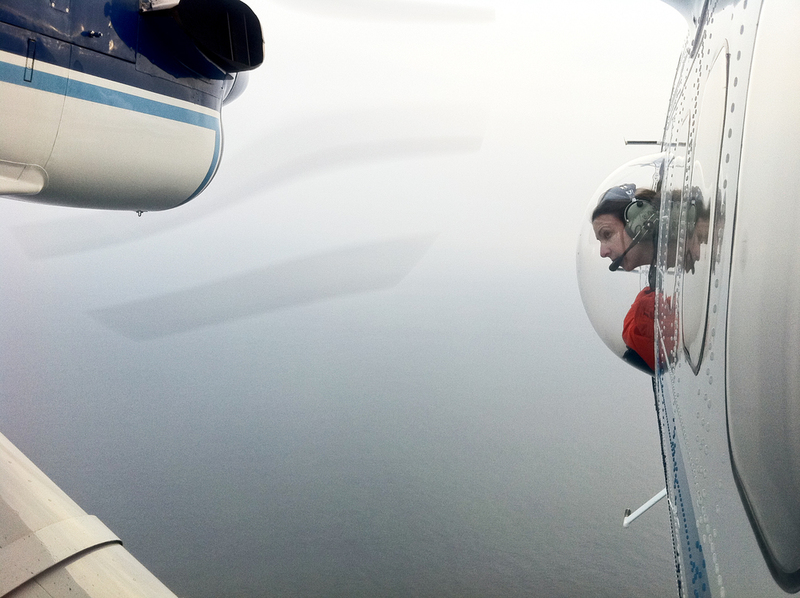 We fly in a NOAA Twin Otter aircraft out of the Barnstable Municipal Airport in Hyannis.